The MaxNRG Personal Training Team also offers a quick fix to your fitness training needs. Have you always thought – ‘I don’t have the time to exercise?’ We have the solution! 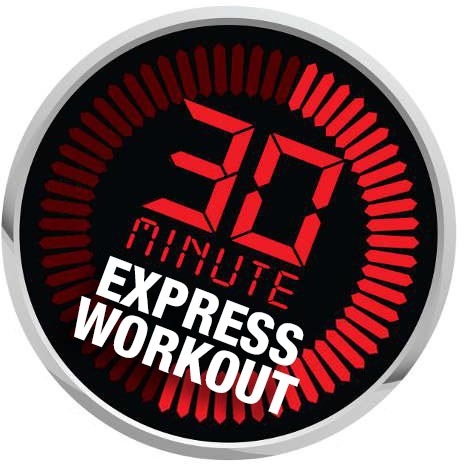 Our 30 minute sessions are perfect for those who have a busy life style, time poor or just want a quick workout. With all of our personal trainers being mobile we can come to you and deliver your sessions which also cuts out travel time to and from your sessions so you can just concentrate on your workout and get on with you day. A lot can be achieved in just 30 minutes! Depending on what you are wanting from your training sessions, your personal trainer will develop a fitness program that fits into your schedule and health and fitness goals. Whether you are wanting to lose weight, get fit or kick start an exercise routine what better way to get your body moving then an express PT session with our trainers. Train with a friend and reduce the cost individually and increase the motivation and enjoyment of your sessions. There is nothing like a bit of competition to push you that little more and someone to support your health and fitness program and keep you on track. Please contact us for small group training rates. To learn more about how we can help you, simply fill out our online contact form or call us on 0403-741-278 and a member of our personal training team will discuss how we can provide the best possible support for you to succeed.